You will learn to use and interpret financial data; find out what we can learn from Pepsi, Krispy Kreme, General Motors, and other companies; learn how to evaluate investment strategies; and apply your financial know-how to develop a coherent business strategy. This is one of my favorite audiobooks ever (and I've listened to hundreds). I took financial and managerial accounting classes a few years ago. 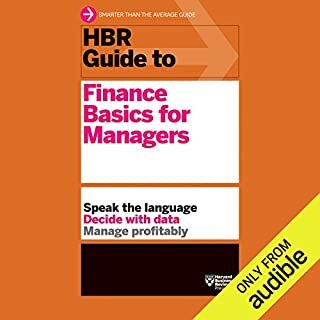 This worked as a refresher and went beyond that into solid, basic finance topics, very effectively. 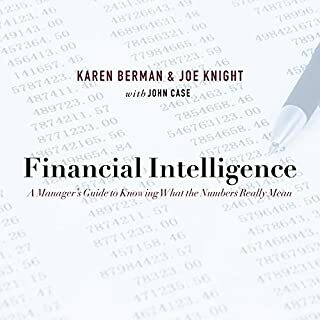 The information is useful to me for personal finance decisions as well (such as, using discounted value of future cash flows in decision support). Rarely have I found so much useful information so well and so compactly delivered. I will listen to it many times. I hope for more content form this author. struggled to listed to tables and graphs being narrated. content and narration were good but difficult to process as an audio book. Would you try another book from Richard A. Lambert and/or Kaleo Griffith? Yes, but probably not another audio one. Would you ever listen to anything by Richard A. Lambert again? This book might be just fine, it seems to have some insightful information; however, it is horrible in audio form. They give a lot of examples of financial reports and how to interpret them. Normally this would be great; but, they read the numbers in the tables row-by-row, column-by-column. Some of these tables take a couple of minutes to get through. It is very tedious and doesn't help you understand what they are talking about. I don't think anyone could absorb information like this. Would be much better if they had just said, "see the attached PDF." This is one of the few audio-books that I just couldn't finish. 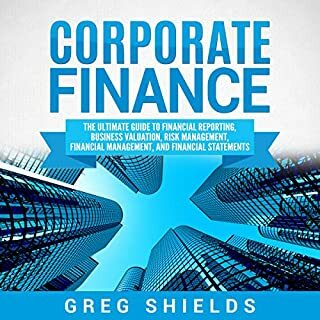 I truly enjoyed learning about Finance and the narrator was excellent however this one shortcoming was a lack of PDF to follow along although excellent examples given in this text it would be very worthwhile to have a more detail PDF associated. and I would definitely enjoy reading it again while I listened to this excellent resource. 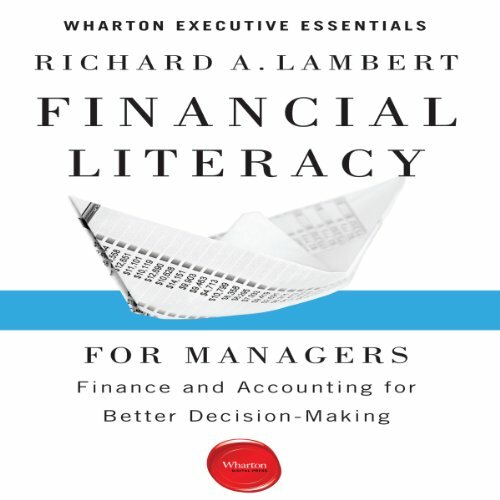 What disappointed you about Financial Literacy for Managers? This book is probably just fine to read. However I don't think that it lends itself well to an audiobook format. It is pretty rare that I can't finish a book. I've listen to thousands and this is been one of the few that I abandoned early on. It's not that the book doesn't have good information; it does. It just really isn't suited to be an audiobook. What made the experience of listening to Financial Literacy for Managers the most enjoyable? Great information, enough detail to make it valuable, and not too involved to be cumbersome and boring. I know I will have to listen to this audio book more than once to catch all the information. 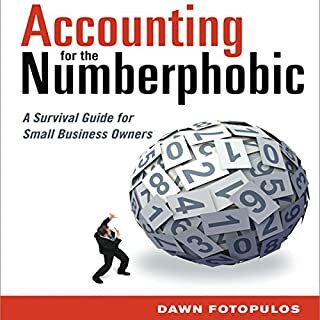 You need to download the PDF file so you can follow some of the figures, unless you are able to visualize the spoken figures and financial statements, which does require some concentration while you listen. This is definitely not a casual listen, but given the subject, I would not expect it to be. there's a lot of financial statement info covering multiple years that's hard to follow when read aloud rather than being g in print. 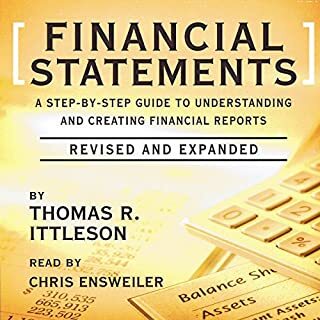 Excellent financial view points are available in the book. Enjoy understanding loans, investments and interest applications for short and long term personal finances. Recommend it. 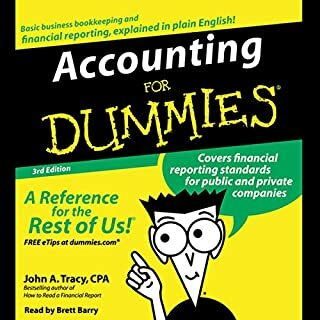 As a accountant in training I know most of the stuff in this book and it roughly follows the training syllabus. The only thing is that it offers examples which can be difficult to follow in audio format. I found myself zoning out in thought and missing the start of new chapters! I am going to listen that again and again. I like it pretty much. Another step to get better in financial accounting and an analysis of financial statements.